She was born in Florence and studied with Bianchi, Carozzi-Zucchi and Panofka. At the age of 16, she sang the mezzo part in the Verdi Requiem, soon afterwards making her stage debut as Azucena! During the next nine years she appeared in various Italian theatres. She visited Russia, South America and London. At that time her repertory included Amneris, Ulrica, Leonora in Favorita and Carmen. By degrees she began to shift into the soprano repertory. She sang Valentine in Les Huguenots, Charlotte in Werther and Margherita in Mefistofele. She married the famous Russian tenor, Nicolaj Figner in 1889 (her second marriage). 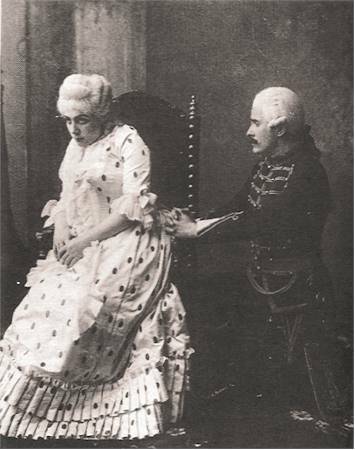 With her husband she created leading roles in Tchaikovsky’s The Queen of Spades and Iolanthe, Nápravník’s Dubrovsky and Francesca da Rimini. She spent her life in Russia but remained an Italian trained singer. She appeared mostly in Italian and French operas. The couple was much loved by the Tsar’s family and they were guests at all the elegant drawing-rooms of Imperial Russia. 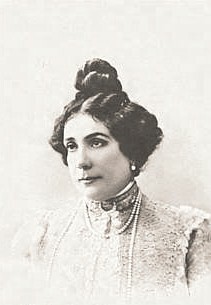 In 1904, when Figner had left her, she made a last operatic tour in South America and continued her career at the Mariinsky Theatre in St. Petersburg until her farewell performance as Carmen in 1912. She finally left Russia in 1930 and settled in Paris where she died in 1952. Her voice is warm and attractive. The registers are equalised but she frequently tends to separate off her chest voice. Her interpretation of Lisa’s air from the The Queen of Spades is historically of great interest, she sings the alternate low ending sanctioned by Tchaikovsky! 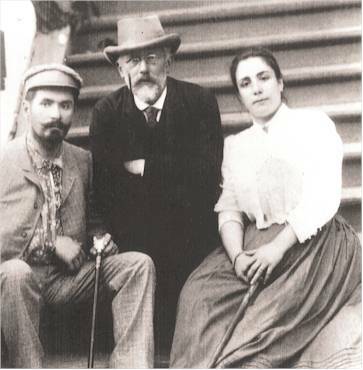 The composer was often invited by the couple Figner to their residence in Italy. Vissi d´arte is particularly beautiful and expressive. There is also a song by Tosto which she sings with plenty of charm (these songs were very much loved by her public in the high aristocratic “salons”). The great soprano Oda Slobodskaya admired her very much. 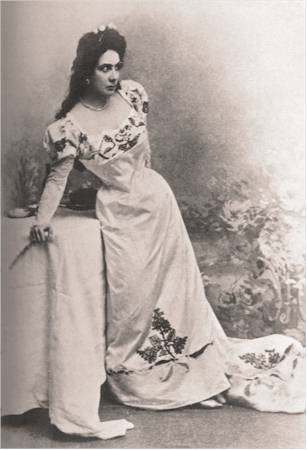 Medea Mei-Figner is certainly one of the best sopranos from the Russian acoustical era and her voice got on well with the recording process.